Whether you're delivering valuable vaccines to a new market or transporting wine from coast to coast, our Climate-Controlled Solutions let you ship sensitive cargo at the exact temperature you need, regardless of the conditions outside. And with state-of-the-art reporting, no other temperature controlled shipping service comes close to providing the security you need to ensure that your products have been transported safely and securely. At Averitt Express, we know how important temperature controlled shipping management is for sensitive products. So we are offering the most advanced, self-powered temperature controlled shipping units available. With both heating and refrigerated shipping systems, they can maintain the perfect temperature for even the most delicate temperature controlled shipping payload. 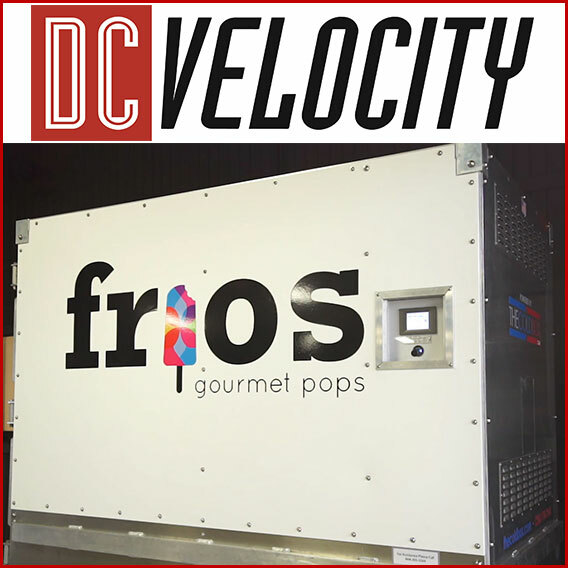 Unlike dedicated refrigerated trucks (reefers), each of our temperature controlled shipping units is self-contained, so you only pay for the heated or refrigerated shipping space you need. This allows you to also consolidate with dry cargo without worry of contamination, or transport multiple units with different temperature controlled shipping needs. It's essentially the less-than-truckload solution for your refrigerated freight and temperature controlled shipping needs! Forget dry ice contamination or exhaust emissions. Each unit runs clean and green on internal batteries with up to five days of operating time. Need more hours? Extended cargo hold times are available, and units can easily be recharged via a standard 115 VAC power outlet. To see what our Climate-Controlled Solutions can do for you, or to simply talk more about this innovative technology, please contact our team at 1-800-283-1995 or by email.